Teaching Authors--6 Children's Authors Who Also Teach Writing: A STORY GENIUS BOOK GIVEAWAY TO CELEBRATE YEAR #8! A STORY GENIUS BOOK GIVEAWAY TO CELEBRATE YEAR #8! 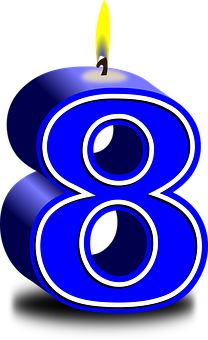 Today marks the 8th Blogiversary of our TeachingAuthors story! What better way to celebrate eight by thanking you, our Readers, with a Book Giveaway of Lisa Cron’s STORY GENIUS. In my Two Thumbs Up review that follows, I share Lisa’s insistence that if a story is to help the reader navigate his world, the writer must fully know his characters: their wants, their needs, and the why’s behind them, but also their worlds and what they rightly – or wrongly - believe. I offer my sincere thanks, too, to my fellow TeachingAuthors “villagers” who’ve kept me blogging, teaching, authoring and keepin’ on since April 22, 2009: Jill Esbaum, Jeanne Marie Grunwell-Ford, JoAnn Early Macken, Carmela Martino, Carla Killough McClafferty, Bobbi Miller, Laura Purdy Salas, Mary Ann Rodman and April Halprin Wayland. Help us blow out our “One-is-for-Good Luck” candle by entering the Book Giveaway that follows my TWO THUMBS UP review. Author and Story Coach Lisa Cron has done it again, offering the TeachingAuthor in me an eye-opening, thought-provoking look at STORY vs. WRITING. You got that right: STORY vs. WRITING. As I often tell my students and writers, there’s the story, and then there’s the way we choose to tell that story to our intended audience. STORY GENIUS takes that truth to a whole different level, making the case and showing readers that fully knowing and investing in a character’s BACK STORY before his current story ever begins enables the story – i.e. the external plot – to write itself. Forget pantsers, Lisa Cron advises - those writers who hope to discover story by writing blindly to the end. Forget recommended unsuccessful first drafts. Even forget external structure models. When seeking to tell your story, remember only: stories begin “in the middle,” in medias res, and you can’t have an after without a before. STORY GENIUS underscores what Lisa Cron considers the two parts of writing a story – two parts I came to think of as two halves: the protagonist’s Inner Story and the External Gauntlet that spurs the protagonist’s inner struggle. In the first half’s six well-organized chapters that build upon each other, she shows us how to dig deep to learn a protagonist’s inner workings. We move from an idea to the phrasing of a What if? question to our story’s Who, Why and Worldview, in which our protagonist’s burning desires and misbeliefs are plumbed and explored. Finally we reach the When that brings our protagonist to an offer he can’t refuse – i.e. the point in the middle where the storytelling begins. It’s in the second half that STORY GENIUS’ blueprint system emerges, allowing for a “scene-by-scene progression that begins with a now-known opening. Scene Cards are the vehicle, noting the cause and effect of the external plot and what Lisa Cron calls The Third Rail or internal plot, the piece our brains crave. Think: What happens? What are the consequences? Think: Why it matters? What’s the realization? And so? That exposure, of course, comes from digging deep in the first half. Throughout STORY GENIUS, “What to do” exercises follow each teaching point, inviting us to try our hand. But even better, Lisa Cron offers a pure “Show, Don’t Tell” example of each point by sharing her friend Jenny Nash’s step-by-step evolution of her novel from the first inkling of her idea to actual scenes. Lisa Cron is an engaging Narrator and indeed, TeachingAuthor. She knows personally, from years of story coaching and writing, the obstacles we confront when trying so hard to tell our good stories well. In STORY GENIUS, she shares real life situational examples that comfort and console while offering concrete examples from contemporary and classic books, movies, tv and plays that illuminate her teaching points. WIRED FOR STORY, which you can read about here, WOW-ed me in unexpected ways. 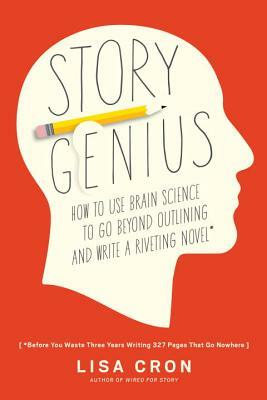 STORY GENIUS is the perfect sequel, building on Lisa Cron’s neurologically-based story tenets. You can read more about Lisa Cron, her books and how to subscribe to her newsletter here. Now for some celebratory gift-giving! To enter our new drawing for a chance to win a copy of Lisa Cron’s STORY GENIUS, use the Rafflecopter widget below. You may enter via 1, 2 or all 3 options. If you choose option 2, you must leave a comment on today’s blog post below or on our TeachingAuthors Facebook page. We’d love to know, by the way, what topics and themes you’d like us to feature in upcoming posts. If you haven’t already liked our Facebook page, please do so today! If you prefer, you may submit your comment via email to: teachingauthors [at] gmail [dot] com. Note: if you submit your comments via email or Facebook, you must still enter the drawing via the widget below. The giveaway ends May 5, 2017 and is open to U.S. residents only. P.S. If you’ve never entered a Rafllecopter giveaway, here’s info on how to enter a Rafflecopter giveaway and the difference between signing in with Facebook vs. with an email address. Happy Anniversary...you ladies are the best. I would love this book . . . need all the help I can get. Thank you for sharing your expertise for the last eight years! I loved Wired for Story, and this looks like a great followup. Thanks for sharing! Happy Anniversary! Would love to win this book. Thanks. Happy Anniversary from Greece! Thank you for helping all writers with your posts and suggestions. I would like to know from your future articles on how to strengthen storytelling with modern themed stories promoting social issues at the same time.I know it may sound a strange combination but I have that in time for long and at least I wonder If it is possible!In case I am the lucky one my friend from Mesa, Arizona, can receive the book, on my behalf.Greetings from Greece! Happy 8th anniversary to the Teaching Authors. Thank you for helping me to grow and learn as a writer. Happy Blogiversary! I may not always comment, but enjoy every post. The words from everyone continue to be fun and inspiring! Happy Anniversary, Ladies! Love Teaching Authors. :) I heard Lisa Cron speak and was so impressed! Happy blogiversary! Thanks for this review. I heard Lisa Cron speak earlier this year and her presentation was absolutely fascinating!! Thank you for sharing your knowledge and for putting up this great giveaway. Wonderful news - 8 years is quite an accomplishment. Congrats Teaching Authors! You are one of my go-to blogs. Congrats on 8 years! I'm so happy to find this blog--I always need help and ideas to improve my writing. It's so easy to forget the little things sometimes. Happy Anniversary! In some cultures, 8 is an especially lucky number. I love that you celebrate with generosity. This book looks wonderful for writers...and readers of writers! I'm looking forward to this sequel (already have the first!) Congrats on 8 years! This sounds like a book every writer should have. Thanks for telling me about it. Thank you, one and all, for your Blogiversary greetings and Kind Words - and - for entering our Book Giveaway! Happy happy happy anniversary to Teaching Authors! And this seems like a wonderful book! Happy Anniversary! I always enjoy the content on the Teaching Authors blog. I really can't think of any suggestions to improve it. Thanks for the chance to win a copy of Story Genius. Thank you for continuing to inspire those who aspire to write! I love "Teaching Authors," and I learn a lot from reading it. I took an intensive with Lisa Cron and attended her sessions during Wild, Wild Midwest, Naperville, last year. She was a dynamic presenter, and I've been looking forward to reading her latest book. Eight years is terrific! Thank you for all you have shared. Story Genius looks amazing. Sounds like a great book. I always think that writing a scene is the easy part. All the thinking about who the characters, what brought them together and why I'm writing about that scene is the hard work -- the thinking work is the hard part. Congratulations on 8 years! I know this book will be a good read because, as always, Esther never steers you wrong. WOW congratulations on your milestone and many more to come. This book sounds intriguing. Very Interesting Review.